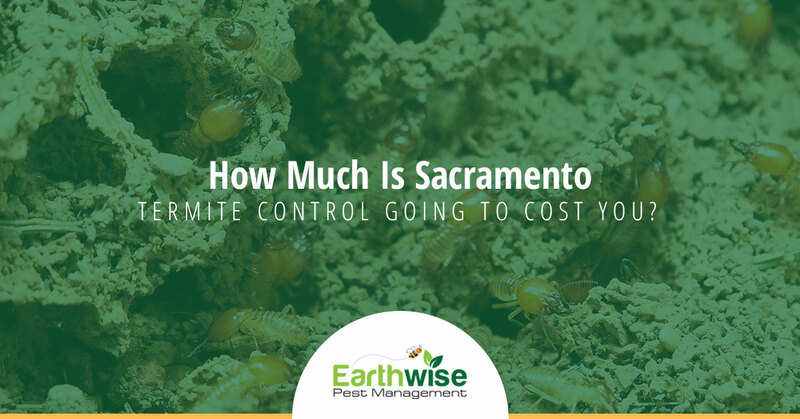 How Much Is Sacramento Termite Control Going To Cost You? When you become a homeowner, especially for the first time, you will surely be surprised by the number of costs that can add up in just simple maintenance in an average year. From replacing that old worn out front door to fixing that cracked tile in your bathroom, it doesn’t take long for little projects to add up to a big cost. The best way you can properly prepare for being a homeowner is to simply expect the unexpected at all times. However, while being overly prepared for things to go wrong in your home is always a good idea, some issues you may experience won’t be as obvious as a broken window or a leaking pipe. One of the costs that many homeowners don’t take into account is that of pest control. While you may not think twice about seeing an ant or two wandering around your kitchen, or a spider making a home in your shower, pest problems can get much more severe than that. The good news is, in instances like that this, you can rely on your local pest control company to resolve the issue for you. This especially applies when the problem is termites. Every single day we get a number of calls from homeowners regarding the overall cost of termite control. While many people do not even consider pest control until they have already identified that they have a pest problem in their home, it is important to remember that not all pests are easy to see or identify. With termites especially, there is an astronomical amount of damage that can occur to one’s home before they have any indication at all that these pests are present. This is why you should be proactive about having your home inspected for termites. The termite colony is not found until it has spread throughout the house. Depending on the overall size of the colony, the eradication and repair could be extreme. The size of the property also plays a huge roll in how much termite control is going to cost. Whether it be a commercial property or a home, the larger the property, the more expensive termite treatment is going to be. Additionally, you will likely have to pay more for future coverage. While it may seem as though it should be, termite damage is in no way covered by your homeowner’s insurance. In fact, repairs from termite damage costs homeowners over 5 million dollars annually. We have helped plenty of homeowners in the Sacramento area to get rid of any termite issues they may be dealing with. Believe us, we know how heartbreaking it can be to find out that there is a termite infestation in your home that is threatening its infrastructure. We also know that paying for pest control and maintenance can also seem like quite the daunting and unnecessary task. However, it must be done if you are wanting to ensure your home is a safe and pest-free place to live for you, your family, and any house-guests you may have over. If you want to ensure that your home is not infested with termites or if you need the help of a professional pest control team to eradicate any pests from your home, we can help at Earthwise Pest Management in Sacramento. Simply contact us today to learn more about our services and prices. We cannot wait to assist you with your termite issues and more.